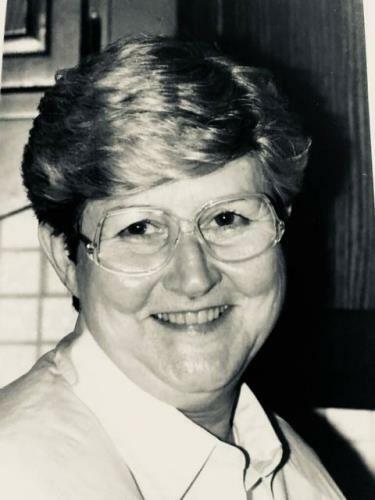 ALTON — Barbara J. Rook, 86, died at 9:41 a.m. Thursday, Aug. 23, 2018 at her home in Alton. Born Dec. 16, 1931, in Alton, she was the daughter of Alvyn "Bud" and Mildred (McCombs) Arnold. Mrs. Rook was a secretary for Wil-Fred's Construction Company, and was a longtime member of First Presbyterian Church in Alton. She had been a fashion model for Vogue, Famous and Barr, Stix Baer & Fuller, Gas Light Square Events, and the Landsberg Officer's Club. Barbara served on the board of the American Red Cross. She was a chairperson on the advisory board for the Salvation Army, Alton Army location, and was Vice President/Treasurer of Hanover Associates, Inc.
On Feb. 2, 1952, she married Richard E. Rook in Alton. He survives. Also surviving is a daughter and son-in-law, Diane and Dennis Martin of Byrnes Mill, Missouri, a son and daughter-in-law, Charles and Angie Rook of Rosewood Heights, three grandchildren, Richard Moran (Angie), Jennifer Whalen (John), and Rebecca Johnson (Travis), seven great-grandchildren and one great-great grandson. Visitation was from 1 until time of memorial service at 3 p.m. Saturday, Sept. 15, 2018 at Gent Funeral Home in Alton. Reverend David Crowley officiated. Burial was at Valhalla Memorial Park in Godfrey. Memorials may be made to the Alzheimer's Association , American Cancer Society or OSF St. Anthony's Hospice.